Home / Invoicing: What Could Go Wrong? Invoicing: What Could Go Wrong? For any business, especially a small business, a solid and smooth invoicing cycle is essential. When so dependent on a timely stream of cash, smaller businesses are particularly vulnerable when left to the challenging tasks of managing payment terms, dealing with labyrinth accounts departments, handling multiple clients, forecasting cashflow and of course, attending to their own invoicing. Better business decision-making demands being in full control of the finances, yet new reports suggest that many businesses are struggling from the weight of unfavourable payment terms, late payments and even forgotten invoices. 1 in 5 small business owners say they don’t feel in control of their business accounts. This article looks at the pitfalls of invoicing for small and medium sized businesses. For small businesses, the average wait for payment now stands at 38 days, and, across the board, UK companies are paying their bills 25 days late. At the top of the ‘late payer’ list sits the largest companies – with 58% of SMEs having to wait for payment on the terms of these giants according to a survey by finance software provider, Exact. 44% of businesses say they are regularly contending with overdue invoices. Unfortunately, it is usually the case that a big client comes with a high value and vital invoice; putting smaller businesses at the mercy of their larger customers. Unfortunately, the effects of late payment do not stop at the stretch on financial resources. The domino effect can put pressure on the wider workforce – with an estimated 12% of those businesses that defer payments of some kind due to cashflow problems, admitting to not paying staff on time. This knock-on cashflow difficulty can then ripple down the chain from one small business to the next – 55% of small businesses say they are forced to pay their own suppliers on the same terms as set by their own customers. While new Government initiatives, such as the voluntary Prompt Payment Code and the recently revamped Late Payment of Commercial Debts (Interest) Act, seek to promote fairer payment terms and put more rights into the hands of the suppliers, timely payment is never guaranteed. This is because the reasons for delayed payments vary so widely and there is no single ‘fix-it’ option to speed the process up. Almost 20% of SMEs say they are not paid simply due to forgetfulness and oversight by their customers. With so much risk and uncertainty in the area of receivables management, small businesses are advised to tighten up their own payment terms and credit control procedures, and assess whether incentives such as early payment discounts and late payment penalties may help. They should also look to alternative sources of cashflow finance to reduce the impact late payment has on their businesses. According to the survey data from Exact, 20% of Britain’s SMEs have forgotten to invoice a client at least once. Alarmingly within this statistic, 12% estimate the job value was between £5,000 and £10,000, while 6% claim the value exceeded £10,000. The result? The UK’s small business network is estimated to be out of pocket to the tune of £3.7bn. For businesses that might find themselves in need of short-term working capital finance to ride out the late payment wave, accurate forecasting needs to be maintained and finance lined up for when it is required. A new form of invoice finance in the form of invoice trading is proving to be an increasingly popular source of fast working capital, particularly since it offers greater flexibility and better terms when compared to the more traditional invoice factoring and invoice discounting options. 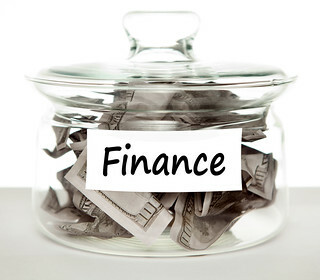 Recent research by SiteVisibility shows that the term ‘invoice finance’ has been the most popular search term when it comes to business finance in 2013. The invoice is arguably the most important document for a business, and the risks and impact associated with an inefficient invoicing and accounts system can never be overlooked. Management efficiencies, stringent payment terms and a highly active receivables follow-up process are fundamental for long-term survival. Once the in-house procedures are in order, new finance sources such as invoice trading can be an invaluable complement to these strategies and put business owners firmly back in control of their own cashflow and fortunes. Business Health and Travel Insurance: What Should you Offer? Beth Nicholas is an approved writer for Platform Black – provider of complementary and alternative finance solutions including invoice finance, supply chain finance and channel finance.